If your cooling or heating system isn't performing like it should, your heat pump in your Las Vegas area home may need repair or replacement. 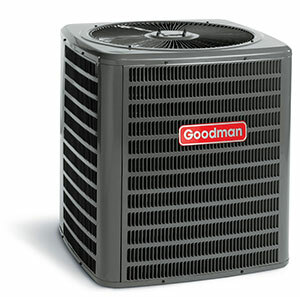 Heat pumps are a critical component in all heating and cooling systems. If the heat pump fails, the entire system can become inoperable. Call the Air Doctor Inc. and have one of our qualified technicians check it out. We specialize in all areas of HVAC service, repair, replacement and installation. Heat pumps are used to mechanically transport energy from one location to another. Air-source heat pumps and geothermal (ground-source) heat pumps are the most common. Either of these heat pumps can keep your home both cool in the summer and warm in the winter. Air-source pumps draw heat from indoor air during the summertime and pull heat inside during the winter. Geothermal pumps transfer heat to the outside ground in summer and move ground heat into your home during the winter. Heat pumps have refrigeration systems that are made up of a compressor and two coils of copper tubing. The copper tubing is sheathed in aluminum fins that assist in energy transfer. Heat pump coils resemble those in the radiator of an automobile. As with air conditioning and refrigeration systems, refrigerant circulates freely through the pipes and back and forth between the inner and outer coils. When the pump is providing heat, liquid refrigerant draws heat from the outside coils and from the air. It then transports that heat inside as it evaporates into gas. The coils inside extract heat from the refrigerant while it condenses back into a liquid. A reversing valve, situated next to the compressor, can shift the direction of the refrigerant flow to produce cool air. It also defrosts the outside coils during cold weather. Particularly in warm locales, air-source heat pumps deliver energy-efficient cooling and heating. Correctly installed, air-source pumps can provide 1 1/2 - 3 times more heating and cooling energy inside your home than the electricity they consume. How can this be? It's because air-source pumps generate energy by moving heat from one location to another instead of using fuel to produce more heat. They accomplish this by taking advantage of the physical properties of refrigerant. Ground-source heat pumps transport heat into or out of the ground. These central heating and/or cooling systems use the ground as a heat source in winter and as a cooling source in summer. Ground-source pumps exploit the moderate temperatures of shallow soil to increase heating and cooling efficiency. They reduce energy consumption and cost less to operate. Ground-source heat pumps are usually more energy-efficient than air-source pumps. Geothermal pumps exchange heat with the shallow soil where temperatures remain relatively consistent year-round. Temperatures in shallow ground are warmer than the surrounding air in winter. In summer, shallow ground is cooler than the warm air. Geothermal pumps transport heat from the soil into your home during the winter. They carry heat into the ground and out of your home when it's hot. Natural gas is most often used to drive absorption heat pumps, but they can also be powered by solar-heated water, geothermal-heated water or propane. Also known as gas-fired pumps, absorption heat pumps are basically air-source pumps not powered by electricity. Absorption coolers work like absorption heat pumps but deliver cool air. Absorption coolers cannot reverse to deliver heat. Refrigerants are heat-cycle compounds that change from gas to liquid and back to gas. During this cycle, they can emit heat or absorb it. Refrigerants are mostly used in refrigerators, freezers and air conditioners. These days, "ozone-friendly" refrigerants are replacing older refrigerant compounds that have been shown to cause ozone depletion. Call the Air Doctor at (702) 243-4000 if you suspect any type of heat pump malfunction in your Las Vegas area home. We'll be out promptly to assess the problem and provide damage control. We can also check the refrigerant levels in your system to ensure that they are properly balanced and not running low.